Decorated Easter Eggs – using a simple mixture of wax crayons, white vinegar and food colouring this easy-dye easter egg activity is perfect for children of all ages! Bunny Cupcakes – get messy in the kitchen with these cute and colourful bunny cupcakes. Children will enjoy measuring ingredients, spreading or piping the grass icing and making bunny tails using fondant! Egg and Chick Maths – this hands-on educational activity is low-cost and lots of fun for children learning to count. Rock Painting – children of all ages will enjoy painting on a different style of canvas. 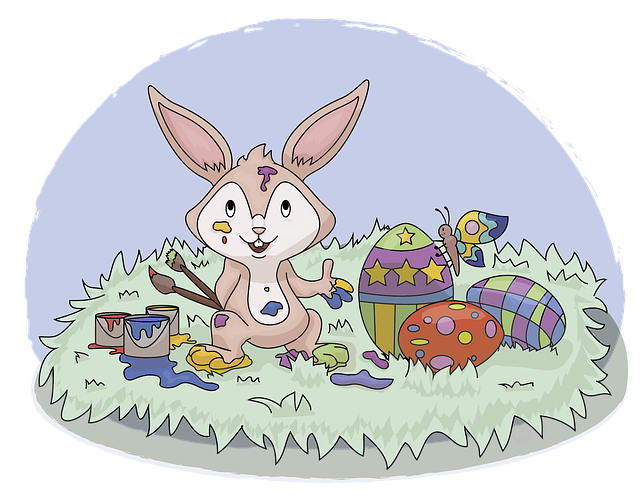 Make it Easter themed by painting bunnies, chicks, eggs etc. Hedgehog Rolls – this classic spring tradition helps to introduce children to the basics of breadmaking, and they look great too! If you try any of these fun activities, we’d love to see your creations in the comments below and feel free to share your own easter activity ideas!